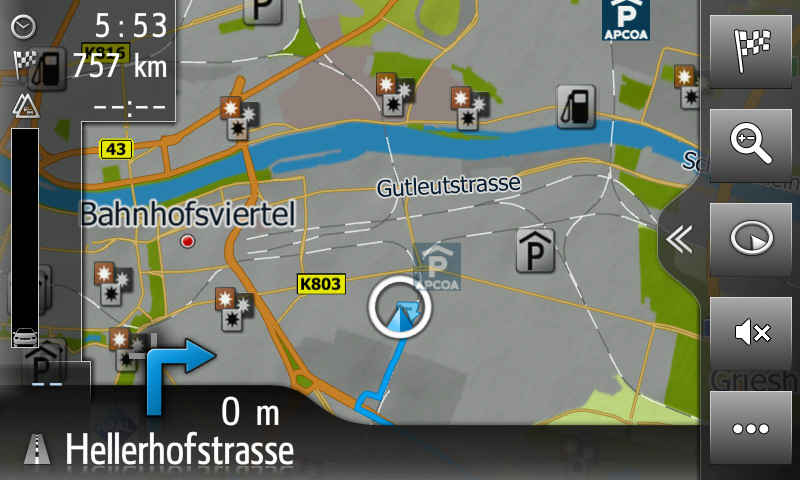 To add a stopover, press the flag icon. To define the town of your stop over press on [Town]. 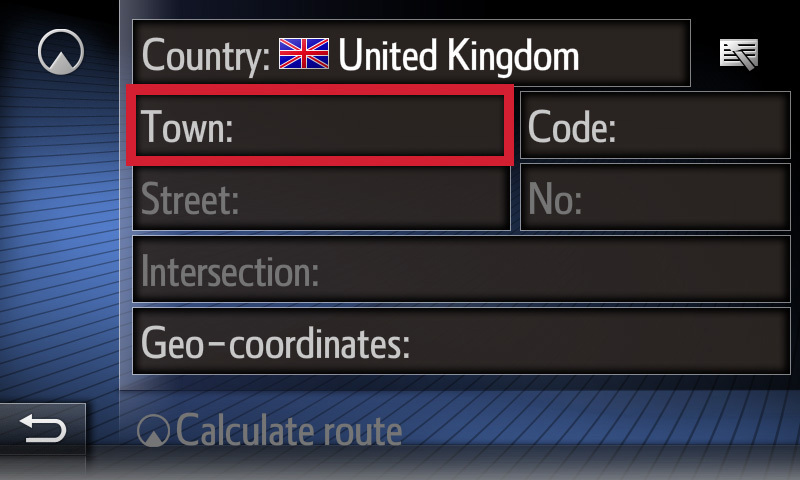 Choose the town by entering the first letter. 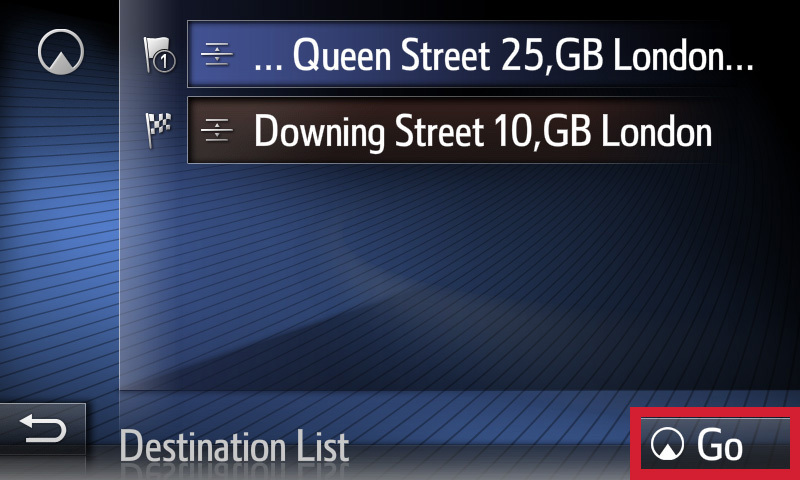 Add more letters to refine the list if needed. Confirm with [OK]. 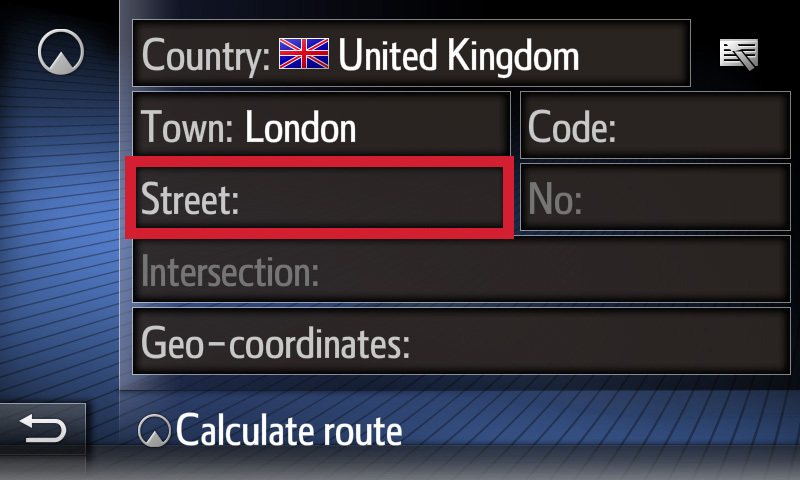 Select [Street] to start entering the address by streetname and number. 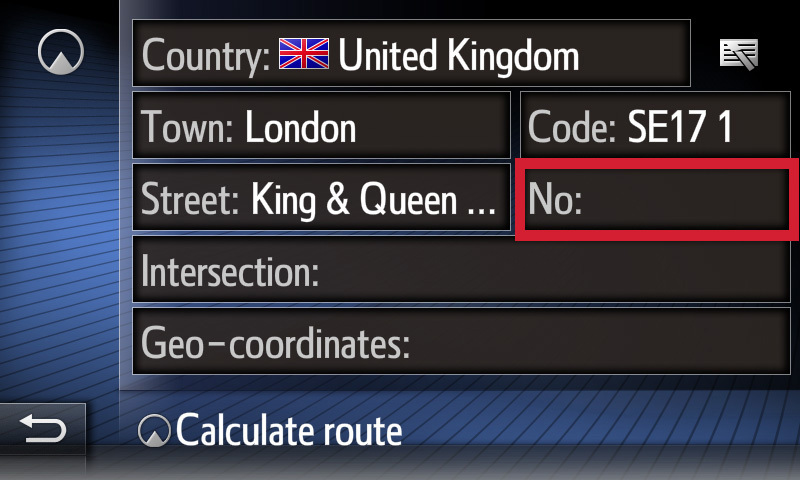 Enter the street name and confirm with [OK]. 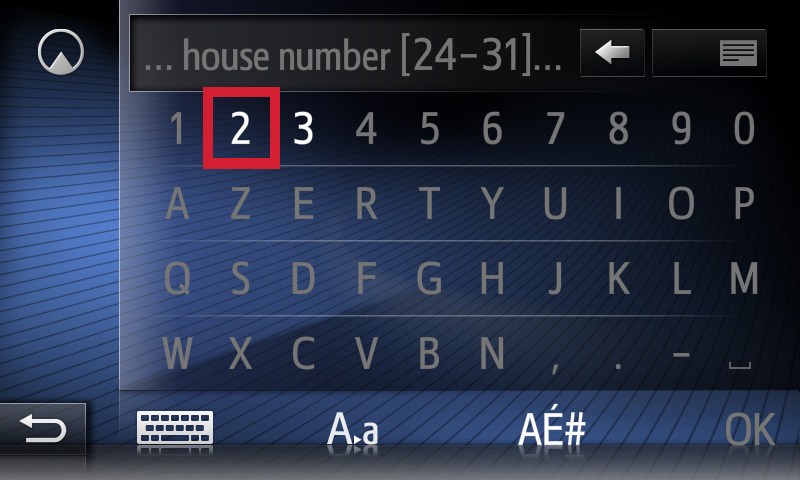 Select [No] to start entering the house number. Optionally enter the house number and confirm with [OK]. Your stop over address is complete. Press [Calculate route] to proceed. 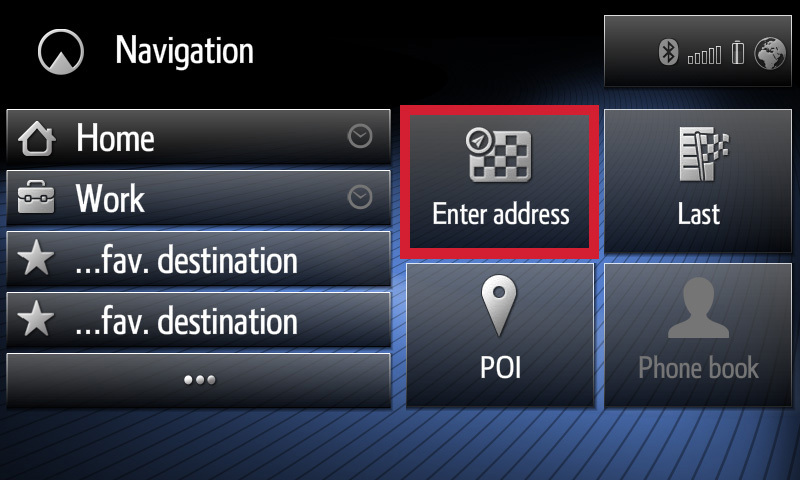 Select [Add] to add the entered address as a stopover. 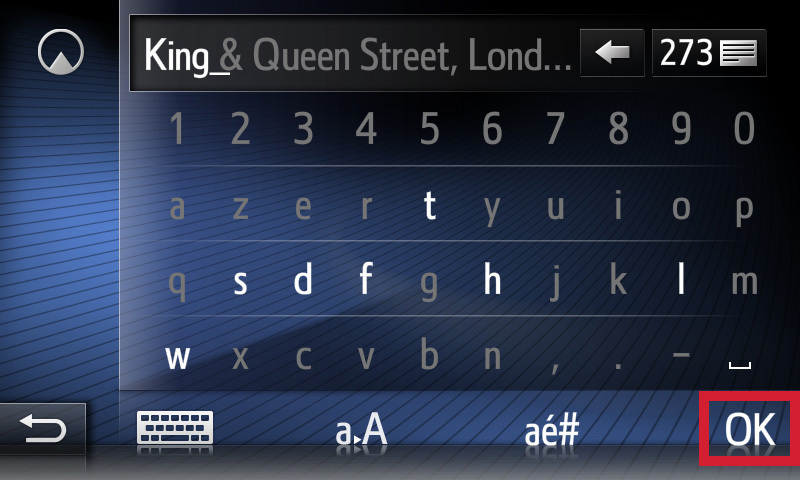 If desired you can change the sequence of your journey by a simple drag action. To confirm your journey, press [Go]. 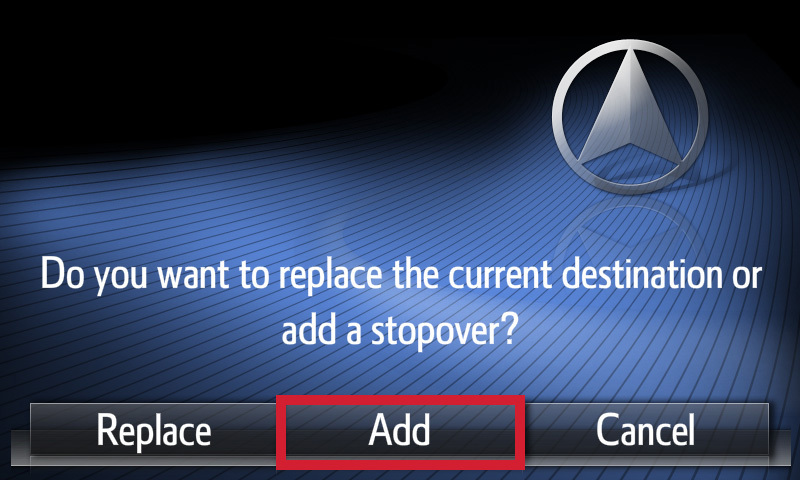 You successfully added a stopover. 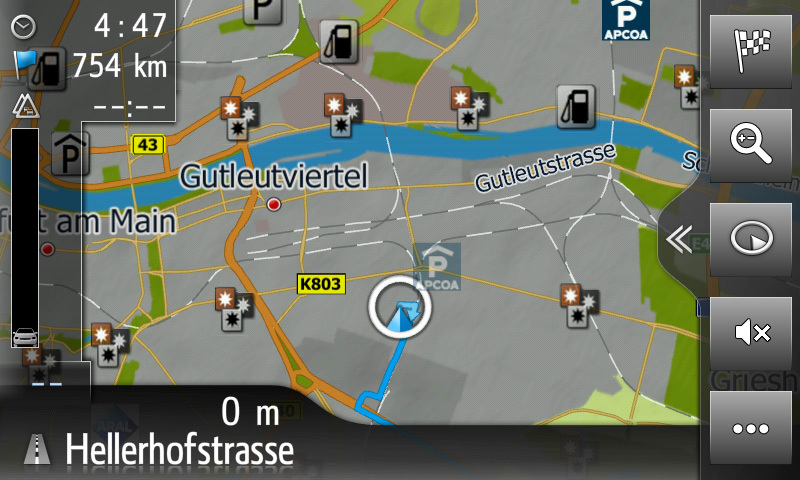 The Touch® 2 with Go will provide you with the fastest route within seconds. 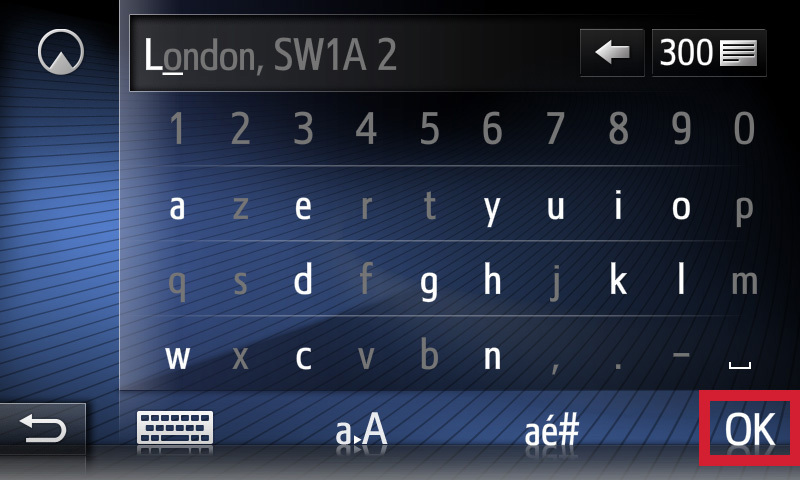 You can add additional stopovers (up to 9), their sequence can be changed by a simple drag action.